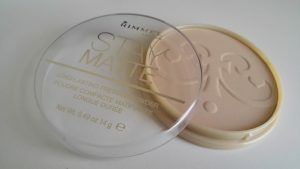 Today, I’m going to be reviewing the much acclaimed powder, Rimmel Stay Matte Powder. I have combo skin, so parts of my face is very oily and some parts of it isn’t. Mostly my t-zone area and my chin gets oily after some time. So, I went ahead and bought this powder. I was a bit nervous when I bought this because I thought that the colour wouldn’t match my skin, but it did. Usually, when it comes to products like powder, foundations and concealers, I’m really bad at choosing the right colour. My colour is the 004 Sandstorm. It’s available in seven other shades, for darker and lighter skin tones. 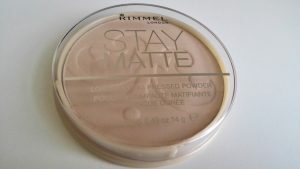 On the packaging of the Rimmel Stay Matte Powder, it claims that it gives up to 5 hours of natural shine control, helps minimise the appearance of pores and is dermatologically tested. It does minimise pores and it also does help control the oiliness on the skin, which is something we all look for in a powder. It’s really good for setting your makeup. Even for people with dry skin, this doesn’t cake on the skin and it gives a good finish to the face. It didn’t make me break out at all. The product doesn’t come with a brush or a sponge, but I wouldn’t consider that a deal breaker. It cost me about 6$ and I’m sure even if it did come with a small brush or a sponge, I would end up using my powder brush. I also feel like this is a great dupe for the MAC Studio Fix Powder Plus Foundation. You get 0.49 oz or 14g of product here, which is pretty good. The container is pretty big, so that’s also another good thing. I don’t know why, but the smell of this product really is amazing. I’m a person who doesn’t mind some scent in their makeup. I don’t think everyone would like the smell. Once it’s on the face, the smell goes away. 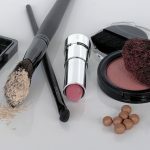 I think this is a must-have drugstore product for any makeup junkie. Controls oiliness for a long time. An amazing and affordable pressed powder.